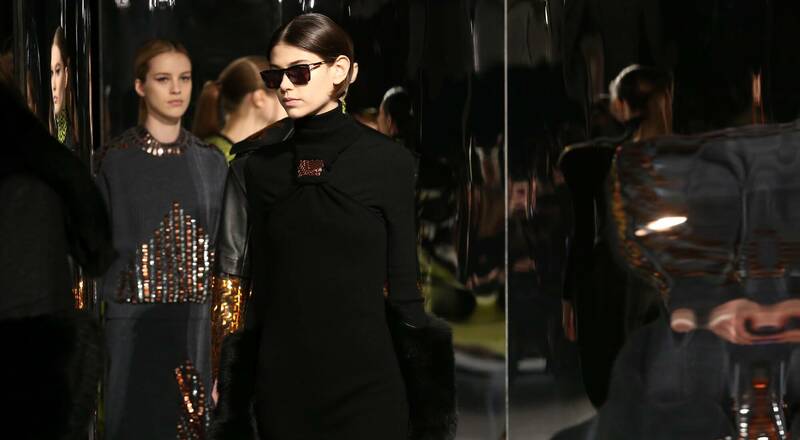 The culmination of months of work on a closely-guarded collection, the Paris Fashion Week show is always a matter of excitement, discussion and anticipation. 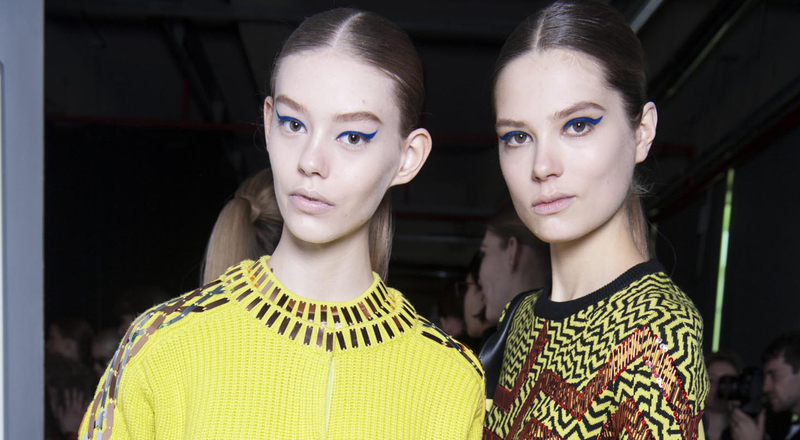 Since their arrival at Kenzo three years ago, the brand’s creative directors Carol Lim and Humberto Leon have established a reputation for their original showmanship and mastery of suspense. 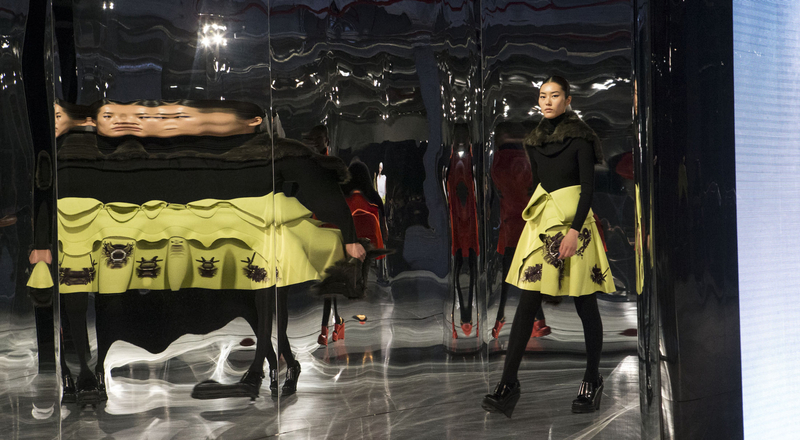 So, what would give a glimpse behind the Kenzo runway? It is first and foremost the inspiration behind the collection that shapes the show itself. Everything – from the choice of the venue to the casting is closely connected with the inspiration behind garments and the best attributes for the showcase of the collection. Vivid blue textured paper, outdoors survival kit, a black plexiglass rectangle illuminated by a blue led for the last show, Kenzo Fashion Week invitations are truly no less creative than any of undertakings of the Maison. 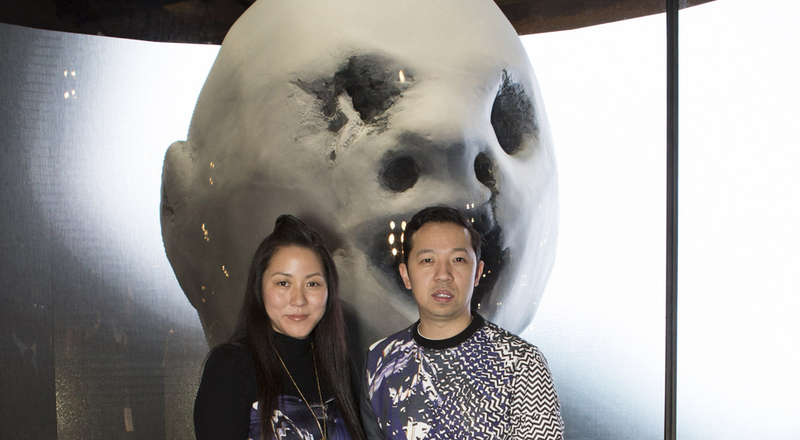 They give a first look into what the viewers might expect on the day and convey Kenzo’s message, becoming pieces of the puzzle that make the show a remarkable experience. Five days before the show, they are sent to editors, fashion world influencers, family and buyers. The Fall-Winter 2014-2015 collection became a closing note in of a remarkable fashion trilogy dedicated to the works of David Lynch. An accomplished director, painter and designer, David Lynch is truly a talent of boundless expression. The great master inspired the collection and once again collaborated with Carol Lim and Humberto Leon to create the music and mesmerizing set of the Paris fashion show that took place at la Cité de la mode et du design. “I wanted to try to get a different feel for a runway show, having mystery and emotion swimming together,” said Lynch, and surely, he delivered. 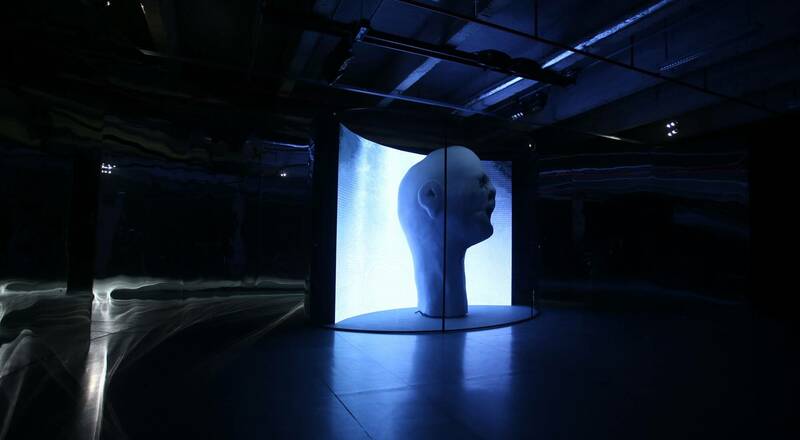 Giant head surrounded by screens projecting stormy clouds and mirrored panels dominated the runway, creating a distinct haunting feel. The right ambience is truly crucial for a show, giving an opportunity to convey the mood of the collection and give an insight into the inspiration behind it. Lighting and music are essential as each small change would convey a different message, from the light breezy feel of the ocean-inspired spring-summer show to the haunting imagery of David Lynch films. Precision must be absolute. Last but not least come the models. Selected up to three days before the show, they are a true reflection of the women the collection was created for and the Maison that truly makes no stereotypes. When it comes to casting, Kenzo has a very multicultural and global view on the models that will finally take the runway. The fittings take place a day or two before the show and the full dress rehearsal only 30 min before the big event. Everything’s ready. Light, runway, action!